Brand: Seagate Form Factor: 3.5"
Reinforce your desktop's performance with the Seagate Barracuda ES.2. Boasting a storage capacity of 1 TB, the hard disk drive allows you to store large amounts of files without worrying about running out of space too soon. The hard disk has a 3.5-inch form factor, soit is ideal for a desktop. 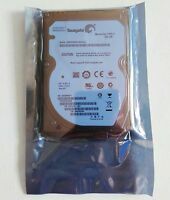 The SATA technology supported by this disk makes it possible to hot plug it on your computer without causing damages to your machine. With a 32 MB cache memory, you are able to access sites quickly that you have previously visited, and the buffer memory ensures a smoother performance. The 7,200 RPM means you can easily access and retrieve data from files stored in the drive. In addition, the SATA interface ensures an external transfer rate of up to 105 Mbps, so transferring files from the hard drive to other locations in the machine is fast. As a bonus, the disc has a seek time of 8.5 ms so you will not have to wait long to get stored data. Immediate payment of US $38.21 is required. Very good drive and in the right server will last for years. The drives I got all work as expected. It would have been real nice if Newegg would have supplied the jumper (I asked for ) for the back of the drive so I could have used them right away. Some companies do not think about the configuration the customer may require the product settings to be. (It's all about money). The jumper on these drives allows 1.5 Gbits/sec transfer rate rather than 3.0gb/ps. 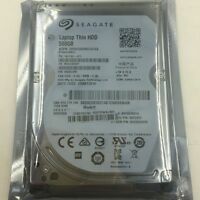 Great product for the money, Seagate is the way to go. 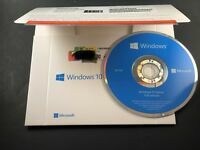 It is a great hard drive however, I had some trouble with getting it to be recognized in my system; The seller was great about switching out the drive when the first one seemed to be defective. Now the new is great once I figured out to work out the "software" kinks after I plugged it in. I had some problems with the set-up in F2, finally after somehow unknowingly getting the settings right, it finally worked. I must say it is spectacular for the price. Seagate also, has a superb technical, patient support staff. Purchased this drive as 1 of 4 in a NAS unit. 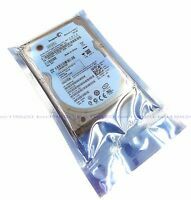 The drives are Seagate's product for Enterprise class use. -Drive runs cool and quiet in my Netgear ReadyNAS. -The NS drives have a 1,200,000 hrs and 0.73% versus 750,000 hrs Mean Time Between Failure rate with a 0.34% annual failure rate for the AS drives. 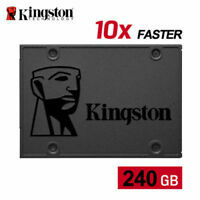 -Designed for 24 x 7 use versus approx 8 hrs daily use for the AS drives. Probably overkill for my use... but at the price I paid, Why Not? The Seagate ST31000340NS Barracuda ES.2 Hard Drive is the perfect solution for high-capacity enterprise storage applications such as the migration of mission-critical transactional data, from tier 1 to tier 2 (nearline) storage, where dollars/GB and GB/watt are a primary concern. With energy-saving PowerTrim™ features, superior rotational vibration tolerance and a choice of SATA or SAS interfaces, the Barracuda ES.2 drive provides world-leading technology and value. Very good album for now and I liked the price you pay. So far the hard drive works great and fast. I bought it because I was a brand I knew and the price was very good. My choices were between Seagate and Western Digital. Either me look good by the reviews I found. If I buy one I'm sure will be the Western Digital and so see which one is better. At the moment I'm happy with the purchase.